While back home in Michigan over Divine Mercy weekend, I had the pleasure of browsing the Mecosta Book Gallery and coming home with my first Gothic fiction work of local literary hero and celebrated thinker and writer Russell Kirk, an unjacketed, former library edition of Old House of Fear. Too few people, perhaps, know of Russell Kirk today. Even growing up a few miles from the tall brick house where he dwelt and wrote, and with his four daughters not far from me in age, all I knew growing up was that a eccentric writer supposedly lived in that big house. Such knowledge was wasted on my teenage self; had I known he was one of the foremost conservative political thinkers of the last century and a novelist to boot, I may have postponed Yale for a year and ultimately saved myself the trouble and the expense. But I didn’t — and now I’m playing catchup. 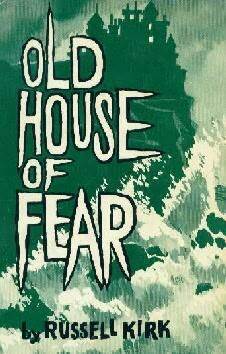 I would describe Old House of Fear as a Gothic men’s adventure story: equal parts ghostly yarn, murder mystery, and manful romance. Our protagonist is sent by his employer, a Scottish-American industrialist intent on buying his family’s ancestral home on the remote Scottish island of Carnglass. The requisite castle has an ominous name — the House of Fear — though in its ancestral Gaelic it would be spelled fir or fhir and means “man.” What begins as a challenging business transaction with a strange old widow becomes a treacherous tale of intimidation, terrorism, and murder, involving Communists and occultists, as well as more run-of-the-mill ruffians, a beautiful red-headed niece who may also be a witch, and the ever-present shadow of a legend: a grostesque, three-eyed goat-man said to haunt the island from time immemorial. 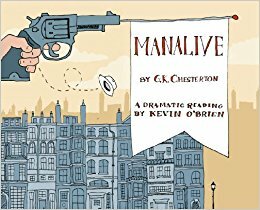 It is a quick and satisfactory read, if a bit tidier than I expected at the end. I enjoyed it thoroughly and recommend it wholeheartedly…if you can find it! If not, I may be convinced to loan it to you! Blogger’s Note: Several years ago, I agreed to my friend Jacqui’s challenge to read 15 Classics in 15 Weeks. Though 15 weeks is long past, this, at last, is 15 of 15! I am somewhat embarrassed to say that this was my first venture into Flannery O’Connor’s fiction, and what an introduction. It is a dark, hard, unflinching work, awful and mesmerizing, like a wreck along the highway–and yet strangely hopeful even as it descends. The book tells the story of Francis Marion Tarwater, an orphan boy in the mid-20th century deep South, raised with backwoods, biblical faith by his great uncle who believes himself to be a prophet and the boy to be his successor. When the uncle dies (at the very beginning of the story, so not a spoiler), the boy begins a very real spiritual struggle to discover the truth of this calling and the fate of his soul. The book builds a sense of dread even as the reader clings to threads of hopefulness, and erupts in violence both in present tense and in flashbacks–calling to mind a number of interpretations for the title and scripture verse it references. I hesitate to say much more, for two reasons: first, this is a novel to be experienced, not spoiled or “set up,” and second, I honestly am not entirely sure what to make of it. I decided to wait a day or so before writing Three Things to Love, in order to reflect on the book–and I purposely didn’t read any commentaries. This morning, however, I read a couple of reflections on it by other people, and it appears I am not alone. O’Connor reportedly agonized over it, and readers for years have struggled with its deeper meanings and implications. On the surface, it is about the persistent pull on our hearts of both God and the world, and each person’s struggle to find freedom: will they take up the Lord’s yoke and find that it is light, or cast off the shackles of belief and live this life, for this world? It can be read (and enjoyed, after a fashion) at this level, but I am convinced there is deeper meaning here and will read it again someday. The Descriptions. Unlike several of the other books I read for this challenge (Tolstoy, Dostoevsky, Melville), this is a short book but still ripe with detail and description. O’Connor uses sparse, poetic language; metaphor; and simile to sculpt with words; the results a real, living people unalterably carved in stone. Unflinching Honesty. O’Connor does not shy away from the darkness in humanity, and shares the thoughts and actions of her characters with relentless, sometimes shocking, honesty. At the same time, she does not succumb to the modern tendency to dwell on violence with pornographic detail–her matter-of-fact simplicity makes the book that much more compelling. Eternal Themes. Faith and reason. Freedom and destiny. The nature of love. The spiritual combat. Here they are again: themes that arise in so much of great literature through the ages appearing again in 1960, set in the south of the United States. I feel as though I am sharing very little about this book, so maybe some comparisons would help. It reminds me in ways of two other books I enjoyed: Steinbeck’s East of Eden (one of my all-time favorite novels) and a more recent novel, Tobit’s Dog. 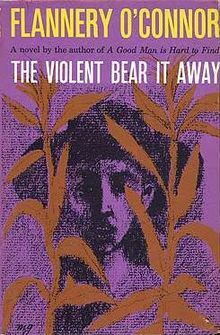 If you like, check out those reviews to gauge whether The Violent Bear It Away might work for you.